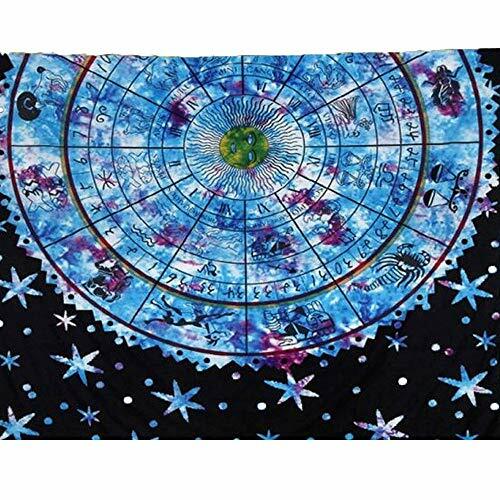 of course as a Tapestry or a Wall Hanging or Decor or Throw Beach, College Dorm Bedspread. lighten up your room and you can decorate your room as the way you like. ★MATERIAL: Polyester Fiber and Cotton , Screen Printed Design. Lightweight and Durable. If you have any questions about this product by Vanitale, contact us by completing and submitting the form below. If you are looking for a specif part number, please include it with your message. ChezMax Modern Square Polyester Tapestry Multi Purpose Decorative Wall Hanging Mural Art White Flower Pattern 79" X 59"